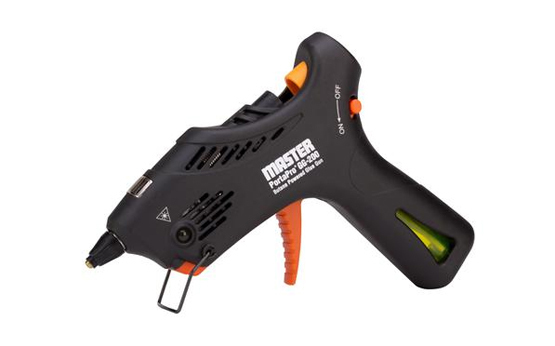 Master Appliance is home to a wide variety of economical, refillable, butane-powered heat tools that are as versatile as they are easy on the wallet. We offer a vast selection of butane tools to meet your needs. Don't let the small size of a butane torch fool you – these tools are one of the best assets a DIY enthusiast or welder can have. Butane heat tools are specifically designed to provide high temperatures to small areas, making them ideal when working with jewelry or soldering thin electrical wires together. We offer an assortment of industrial-quality butane torches, soldering irons, glue guns, and handheld heat tools. Find everything you need by browsing today. No matter what your needs may be, we have the right torch for you. If you're a contractor, electrician, or jeweler, you may want to consider one of our signature Ultratorch® butane soldering irons. Ultratorches are entirely flameless, meaning you can really channel the heat of the torch without worrying about ruining surrounding material or potentially starting a fire. If you're more interested in using a butane torch for small projects or to make your famous crème brûlée, our exclusive line of microtorches may be the best choice for you. Our butane microtorches are lightweight and easy to handle, allowing you to comfortably work with your torch for as long as you need to. Complete projects both large and small with one of the most versatile butane heat tools in our inventory. Master Microtorch® models have something to offer everyone, no matter what job is next on the to-do list. Please feel free to contact us if you have any questions about our butane tool collection today.